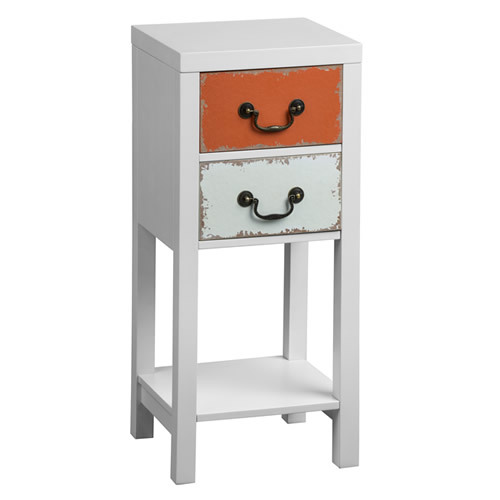 Our 2 drawer Alchemy storage unit is great for adding additional storage in a bedroom, living room or hallway whilst adding a pop of colour. 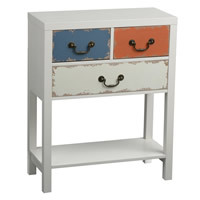 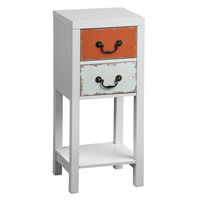 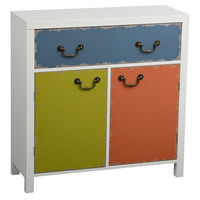 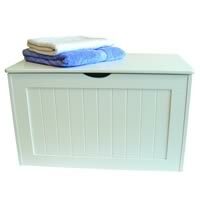 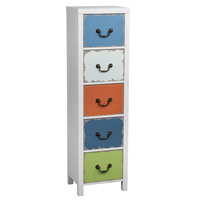 The unit is crafted from a white finished durable pine and has 2 distressed drawers. 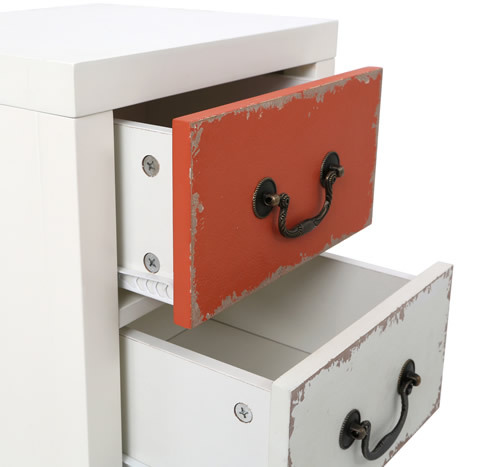 Each drawer has a metal handle making them effortless to open and they're a great size for storing all of those little bits and pieces that never seem to have a home. 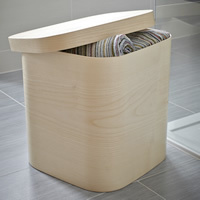 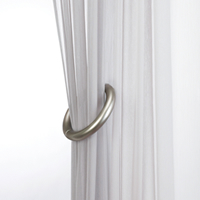 Use in the hallway as an alternative to a telephone table, in the living room as a lamp table or how about in the bedroom for storing socks etc. 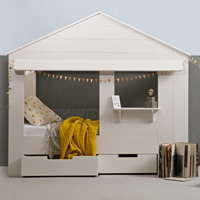 Other pieces are available from the Alchemy range and these can all be found on the links below and all are available at great low STORE prices.